As we have pointed out several times before, the french bulldog is a more likely to have allergies breed (these may be softer or more aggressive) and scratches a lot, always depending on the situation of the dog. There are vaccines, shampoos, pills, etc to reduce allergy symptoms and these itching, but sometimes a home and natural remedy can complement this treatment and relieve the discomfort on a more efficient and less harmful way for your pet. The atopic dermatitis is a very common disease in the canine world, but especially among bulldogs. It is a complex, chronic disease so it is very important to control it as far as possible so that our frenchie has quality of life. Atopic dermatitis is due to a skin reaction, which leads to swelling and continuous redness, associated with the presence of antibodies IgE against environmental allergens. Important: If your french bulldog has allergies or you think he or she can have them, you must go to your veterinarian for him to do the appropriate tests and will recommend appropriate treatment. However, today we share some home remedies to improve your french bulldog skin, especially relieve its itching and prevent skin irritation. The Apple Vinegar is very useful to soothe itchy skin. You can buy it in any supermarket, the classical bottle used with salads. You can sprinkle the affected area twice a day, never in excess. Of course if you see that this is not helping him/her out stop doing it and try something else, because the skin like in people do not react the same in some dogs than in others. Always use sparingly. 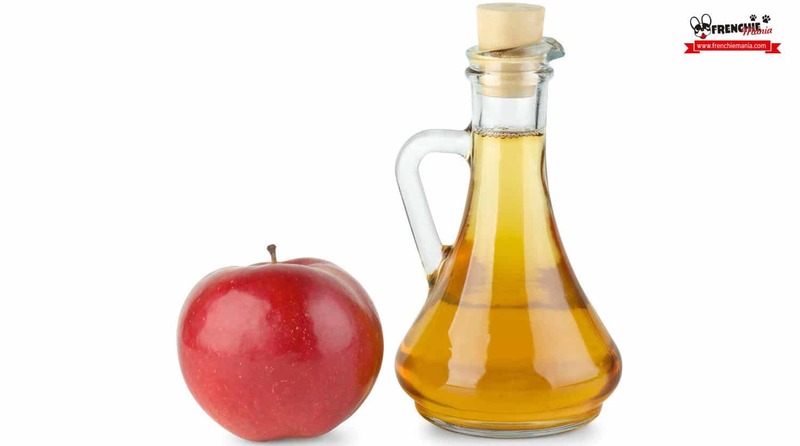 Also if you note that the apple vinegar goes well, you might consider buying as well as a food supplement, apple vinegar capsules, that you can find in supermarkets or herbal stores. Dilute vinegar in water. Depending on the size of the spray bottle you have or you buy, it should be ¼ vinegar and ¾ water. The oatmeal is another natural ingredient very used to make a rinse to your french bulldog, and calming the itching from the allergies, reducing flakiness on its skin. This recipe is to make it and bathe your Frenchie at the time, if you have leftover mixture throw it away. You can do it once a week, and watch closely if it improves. 2 cups of raw oatmeal (natural, no sugar or flavor). You could also buy oatmeal flour directly to avoid crushing. You can buy both at the supermarket or herbalist. Grind or crush oats, until it looks like dust. If you have the Thermomix or blender at home, will be faster and easier. When it looks like dust, mix it with baking soda and water well, and let stand. We first bathe our French bulldog with shampoo as recommended by our veterinarian. With warm water more cold since hot water is not good for skin irritations, in fact worsens it. 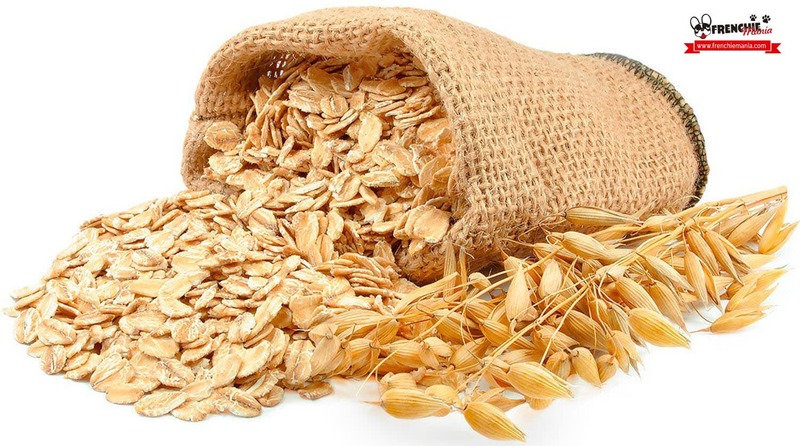 We rinse him/her, and we will apply the oatmeal rinse that we have prepared, putting more amount in the affected areas. We leave it on for at least 15 minutes. We clarify very well with fresh water, without leaving any residue on its skin. 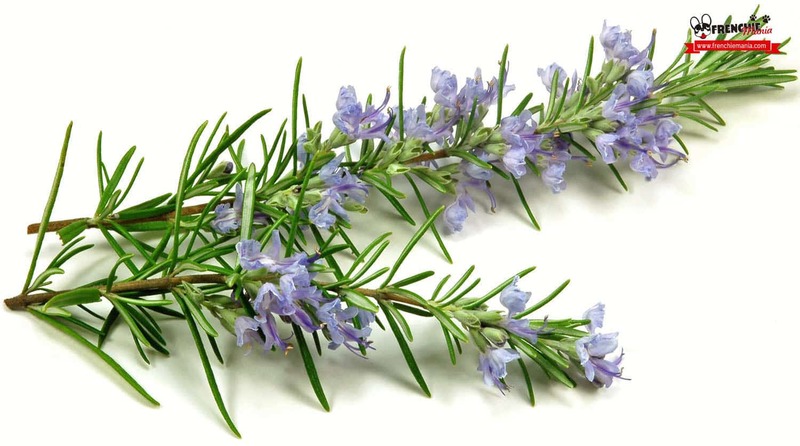 Rosemary is also a species with many healthy properties that helps skin itches, and you can try. 1 tablespoon of dried rosemary. We can buy at any herbalist. When is boiling add the rosemary leaves. Remove from heat and let rest at least 15-20 minutes with rosemary leaves. We remove rosemary leaves and let cool completely. After bathing your Frenchie with allergenic shampoo, we spray it with this water with rosemary extract and massage it well especially in the most affected areas. Besides these lotions and rinses that you can do at home, when looking for an antiallergic dog shampoo, you can Also look for natural ingredients like wheat germ and Aloe Vera which help improve the skin of your French bulldog with allergies. All these remedies are treatments that you must supplement with what commanded your veterinarian, since none of them is the solution, but it can help your french bulldog not to suffer so much with allergies. 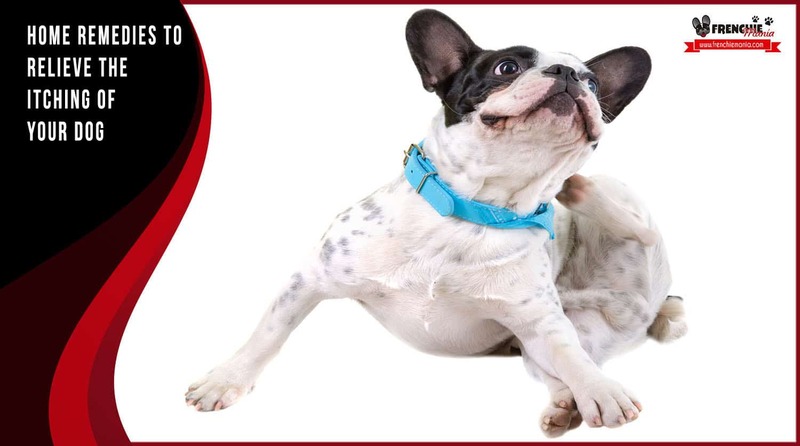 We hope you have found this post interesting, and if your french bulldog has allergies can help you with any of these remedies, since if he/she you do suffer a lot when seeing the doggies that don´t stop scratching and causing reddness. Share it with friends who may have this same problem with their frenchies and other dog breeds and your favorite social networks.